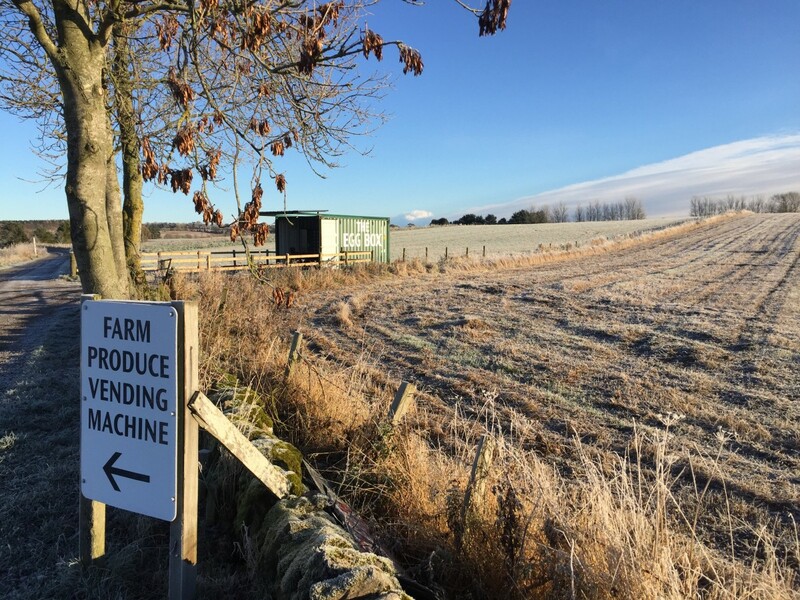 Mr and Mrs Watson have installed a Vending by JSR 28 locker machine at their farm road end at Tullygloom Farm in Brechin. the couple already had a good customer base established with their honesty box system but it was not ideal. for security reasons the honesty box set up had to be at the top of the road next to the farm house, this is half a mile from the main road. Mr Watson felt this was putting a lot of potential customers off and always wanted to move the sales shed closer to the public road. Installing the new Fresh food vending machine now means they have a secure and safe way of selling their own eggs and vegetables and it makes it far easier for their customers. Since the machine was fitted 6 months ago sales have risen, Mr Watson is positive this is down to the positioning of the machine. House in a small shipping container their customer can shop at the machine protected from the elements. Due to the success of the machine in the first 6 months the Watson family are already considering an extension to the machine for another line of produce.